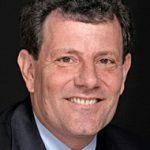 Kristof Asks the Right Question: Do We Have the Courage to Stop This? I am watching CNN reporters interview various folks about the horrific events in Newtown, Connecticut. Everyone is tip-toeing around the gun issue. People are saying “we need to come together” – and we do. ”We need to have more mental health services” – yes, we certainly do. ”Maybe we need to put police guards in schools,” one guy suggested. Really? I am not so sure about this one. I say we need to do something about the guns. Contrary to the NRA-inspired rhetoric, that we all know so well guns, particularly high powered weapons like the Bushmaster .223 implicated in this particular massacre, do kill people, a they enable murderers to kill lot of them- quickly. In fact, more in the US than in any other country. But I wonder, as Nicholas Kristof asks in his NY Times column, “Do we have the courage to stop this [madness]?” Or are we going to continue to allow the lobby for gun dealers (aka the NRA) buy our politicians and brainwash the right. More Americans die in gun homicides and suicides in six months than have died in the last 25 years in every terrorist attack and the wars in Afghanistan and Iraq combined. The Occupational Safety and Health Administration has five pages of regulations about ladders, while federal authorities shrug at serious curbs on firearms. Ladders kill around 300 Americans a year, and guns 30,000. Australia banned certain rapid fire long guns after a 1996 mass killing that left 35 people dead. The also implemented a “national firearms agreement,” that led to the buyback of 650,000 guns and to tighter rules for licensing and safe storage of those remaining in public hands. In the 18 years before the law, Australia suffered 13 mass shootings — but not one in the 14 years after the law took full effect. The murder rate with firearms has dropped by more than 40 percent, according to data compiled by the Harvard Injury Control Research Center, and the suicide rate with firearms has dropped by more than half. Canada requires a 28-day waiting period to buy a handgun, and it imposes a clever safeguard: gun buyers should have the support of two people vouching for them. 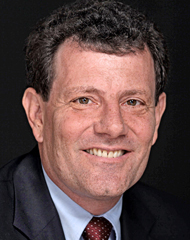 “So what can we do,” asks Kristof? He suggests a “starting point would be to limit gun purchases to one a month, to curb gun traffickers.” Sorry, Nicholas, this is too wimpy. We should outright ban assault weapons ownership by the general population. They simply have no place in a civilized society. If a gunner really wants to shoot one off at a shooting range, fine, let him/her do that in a carefully controlled environment, but the gun stays at the range under lock and key. We regulate alcohol (age limits, in some states, like Texas, there are regulations that prohibit buying booz on Sunday mornings, you can’t drink and drive). We regulate cars (seat belts, air bags, child seats, and crash safety standards). We regulate cigarettes, toxins, recreational drugs, food production, pharmaceuticals, etc. etc. etc. So why can’t we regulate guns? We can, but we have to demand it of our politicians, policy makers, and…most of all ourselves. W H Y ? A New Public Health Issue?